Addressing the barriers facing telehealth, despite its low cost and high efficacy. 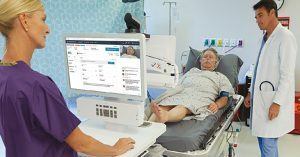 A bill introduced last month in the House of Representatives seeks to improve access to telehealth services in the rural United States and takes square aim at expanding remote patient monitoring (RPM) related to chronic obstructive pulmonary disease and congestive heart failure. Introduced by Rep. Sean Duffy (R-Wis.) the Helping Expand Access to Rural Telehealth (HEART) Act targets the Center for Medicare & Medicaid Services’ (CMS) strict limitations on RPM reimbursements in rural areas. Currently, CMS has a narrow definition of “rural,” which leaves many patients ineligible for reimbursement. Of the 107,000 telemedicine visits for Medicare beneficiaries recorded in 2013, approximately 40,000 of them served rural areas. The HEART Act is one of many recent efforts to address the barriers facing telehealth, despite its low cost and high efficacy. 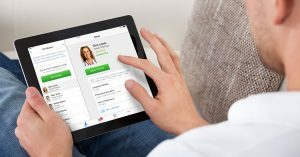 During the month of May, the U.S. Senate also introduced the Creating Opportunities Now for Necessary and Effective Care Technologies (CONNECT) for Health Act of 2017, which further aims to expand telehealth services in rural areas and allow the Department of Health and Human Services to lift existing telehealth restrictions. Telemedicine programs are often cheaper than other options for patients. As of 2012, the average cost of a telehealth program was $1,600 per patient each year, versus $13,000 for home health services and $70,000 for nursing home care. The heart-related diseases addressed by the HEART Act are disproportionately concerning in less populated areas. COPD is more prevalent in rural U.S. regions, and a 2014 study in the Journal of Rural Health found these populations face higher hospitalization rates and increased mortality, in spite of controlling for this population’s higher rate of smoking. 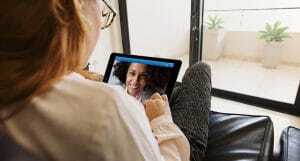 A separate study in the Online Journal of Rural Nursing and Health Care found that telehealth improved knowledge, self-care behaviors and health outcomes of rural heart failure diseases while cutting cost and improving patient satisfaction. Eliminating barriers for telehealth in rural populations is essential to providing high-risk patients with the care they need. Today, about one-fifth of the population in rural regions of the U.S. are on Medicaid and/or Medicare. Telehealth can provide these patients with easy access to care at a lower cost and with better outcomes. Removing reimbursement barriers is a logical and vital step in enhancing patient care throughout the U.S – particularly in rural regions.